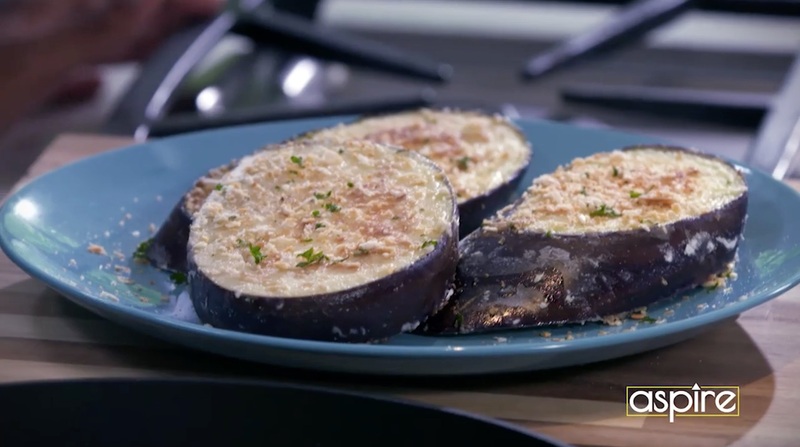 Slice the eggplant into slices that are 1/2 an inch thick. Add the eggplant to a large bowl and season with kosher salt. Then, in a large sauté pan, add oil and begin to heat. Dredge the eggplant in the flour. Once the oil is hot add the eggplant and sauté for three to four minutes per side. Once golden, move the slices to a platter and sprinkle the bread crumbs over the top.